It’s always a joy for me to watch former great champions battle on the court. 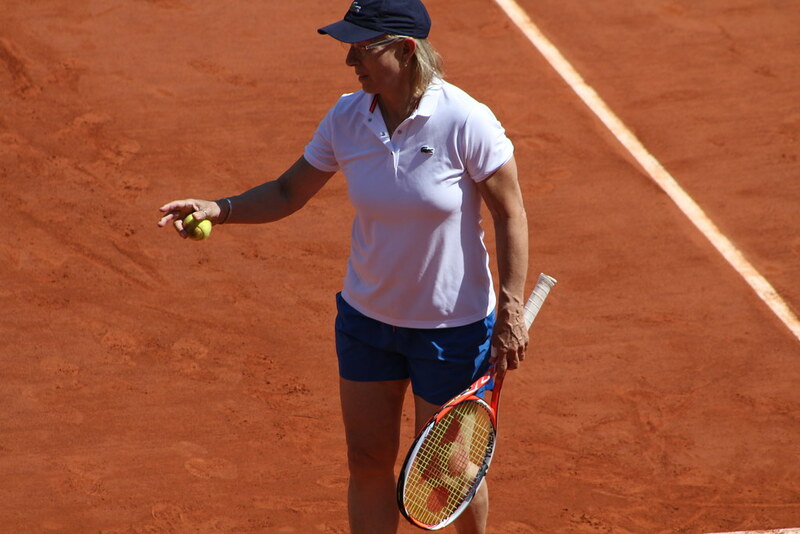 I really had a great time watching the final of the Legends Trophy opposing Martina Navratilova and Kim Clijsters to Lindsay Davenport and Mary Joe Fernandez. 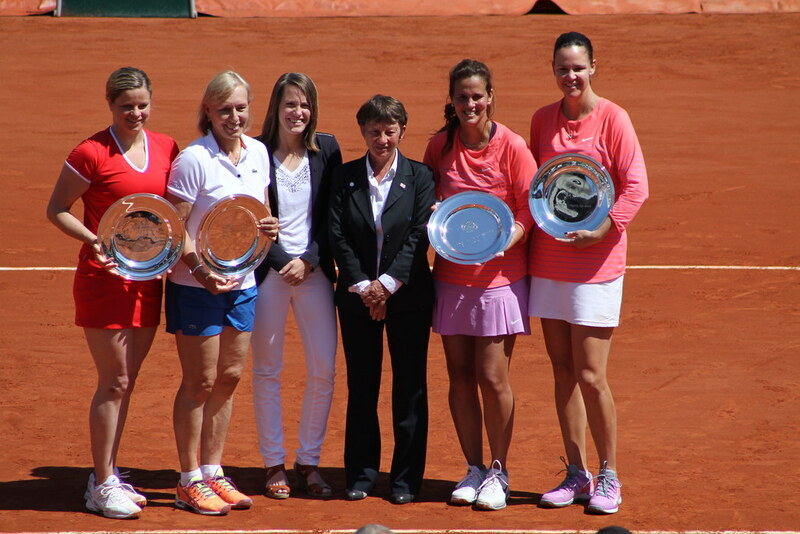 18 + 4 + 3 that’s 25 singles Grand Slam titles on the court! 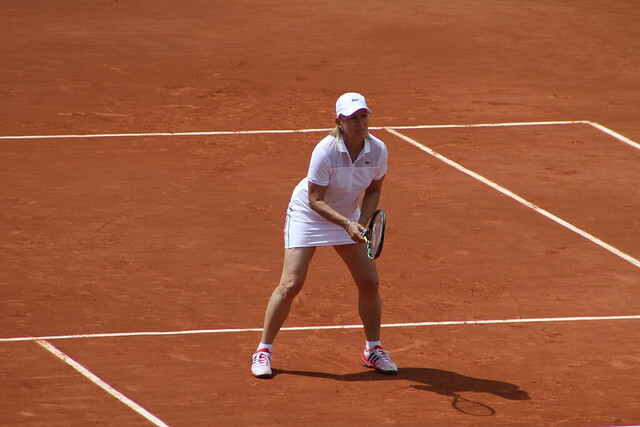 Every time I see her play I’m amazed by Navratilova’s play at the net. 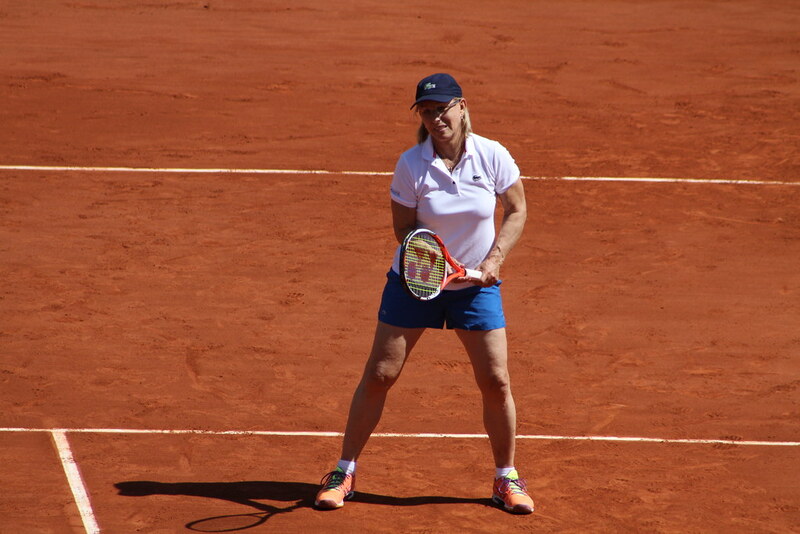 She’s in her late 50s but she’s still has it! 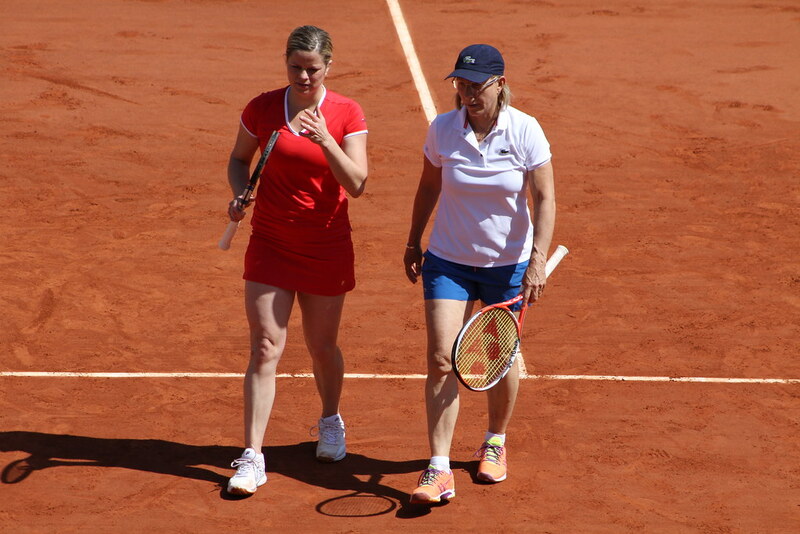 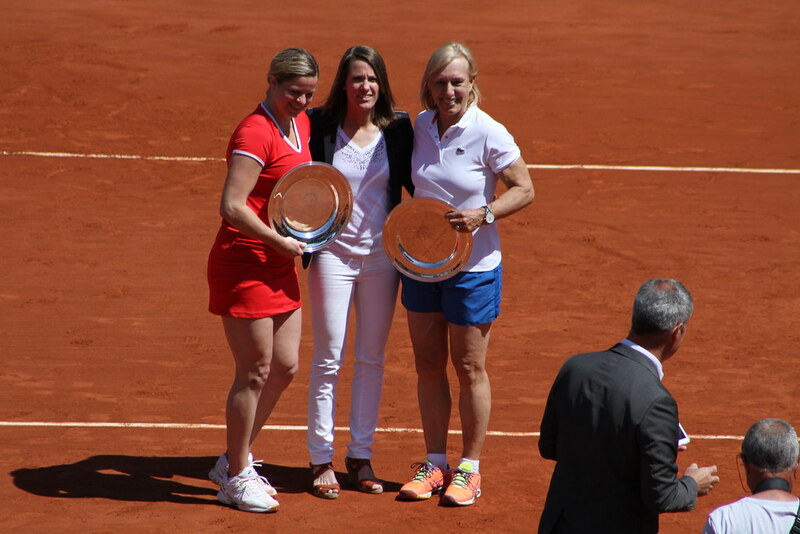 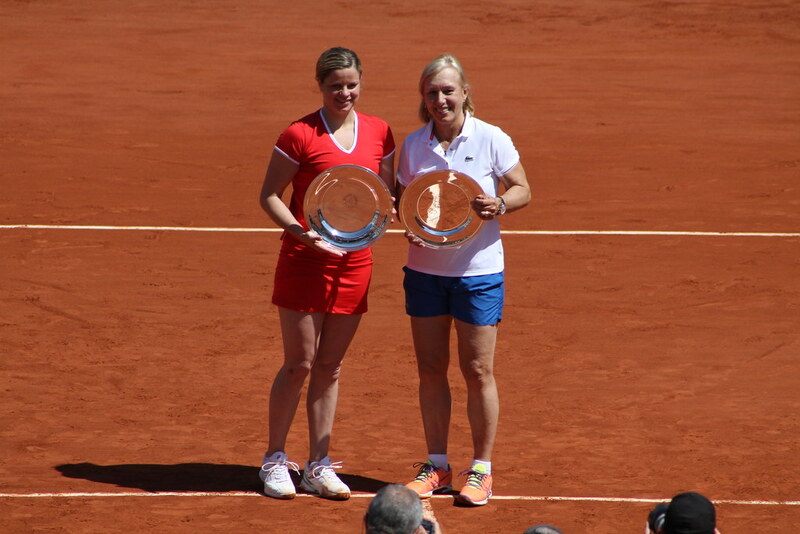 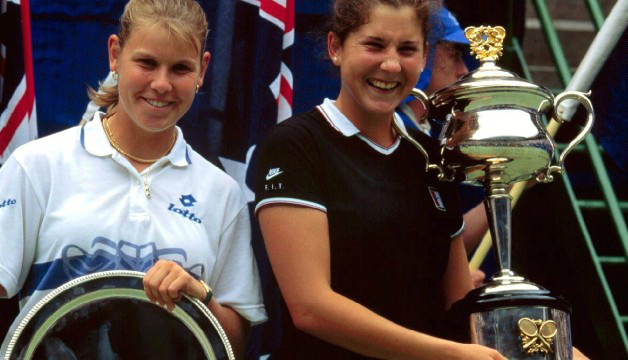 Clijsters and Navratilova captured the title for the second year in a row (I can’t remember the score…). 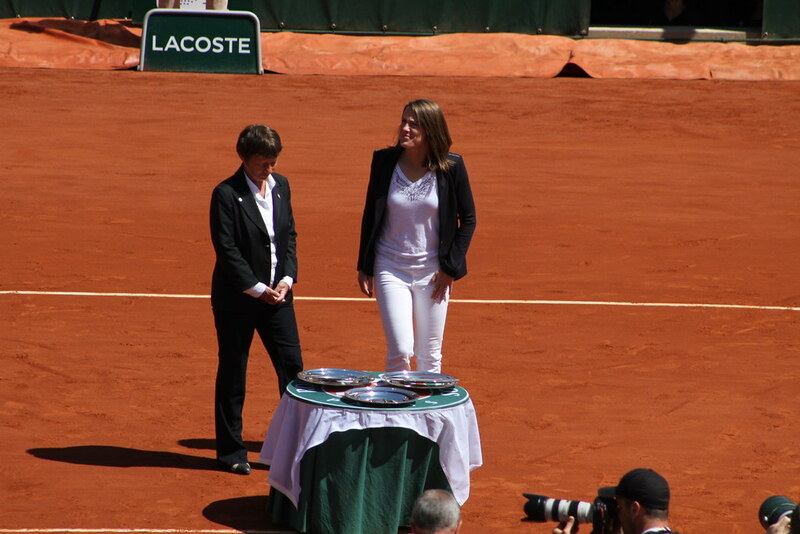 And guess who presented the trophy? 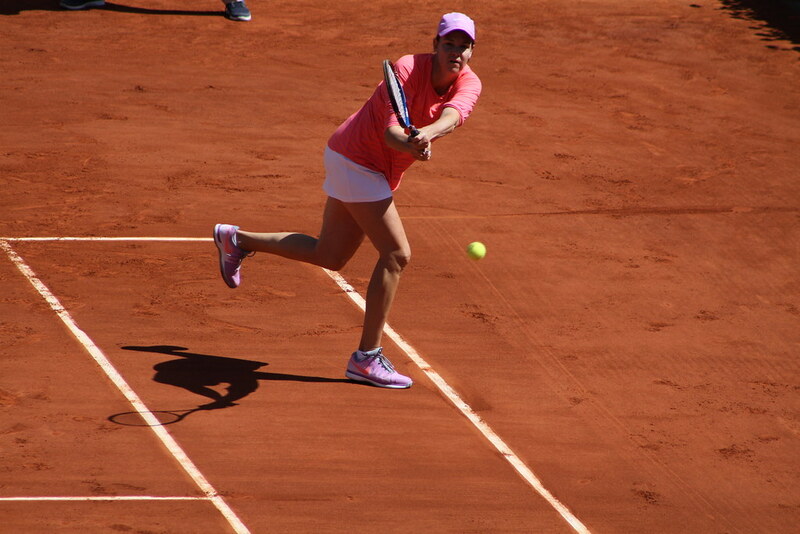 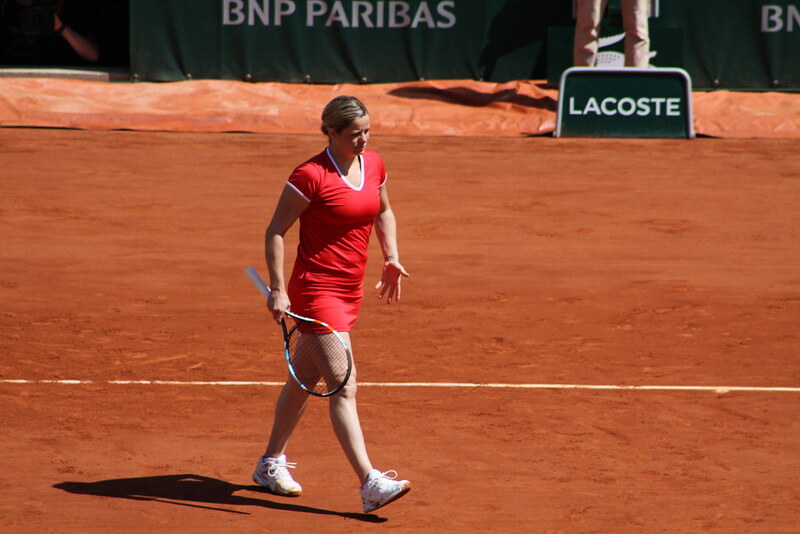 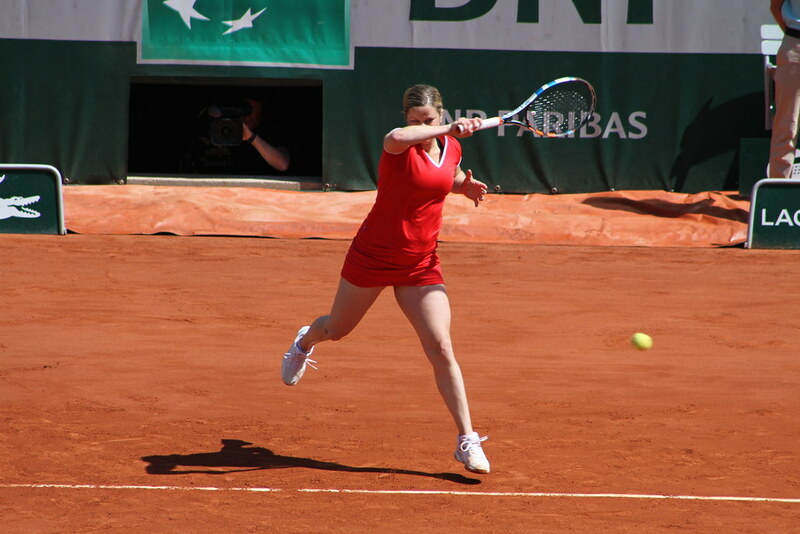 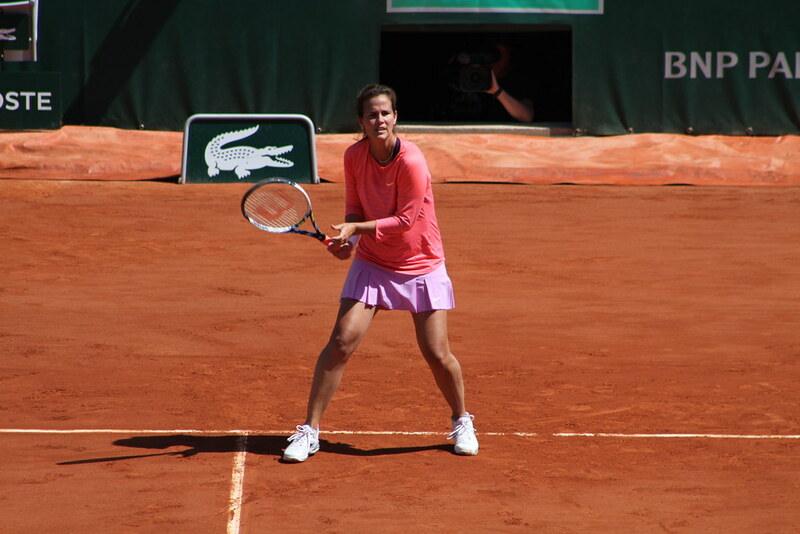 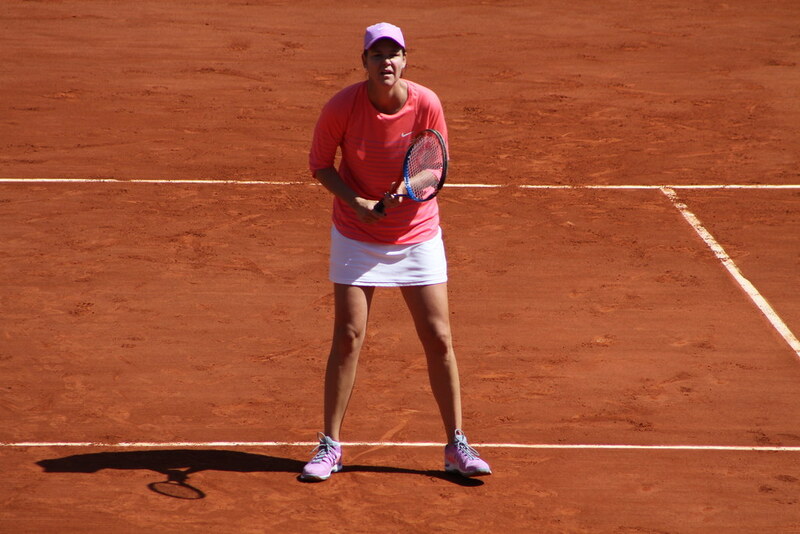 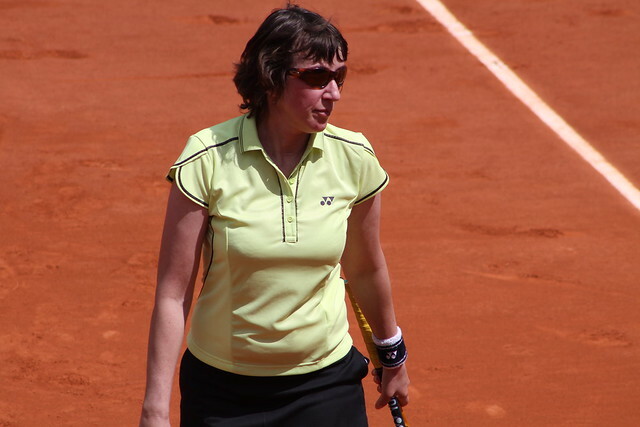 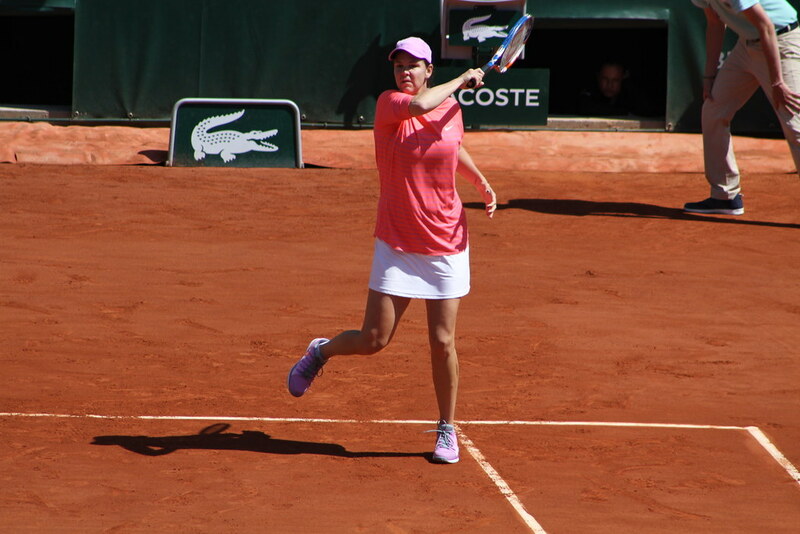 None other than 4-time Roland Garros champion Justine Henin. 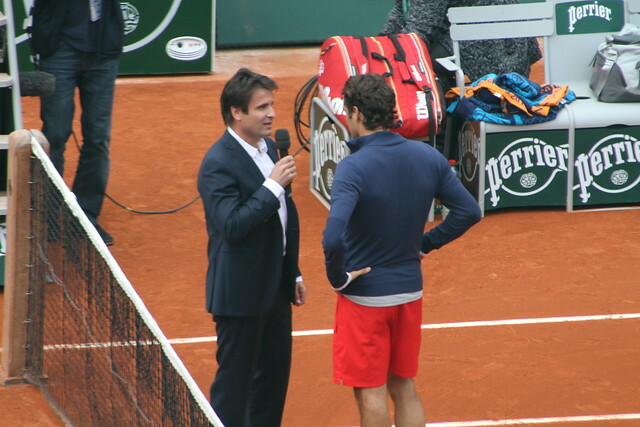 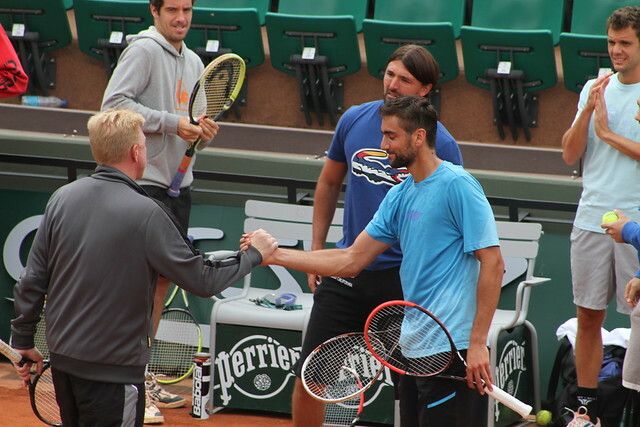 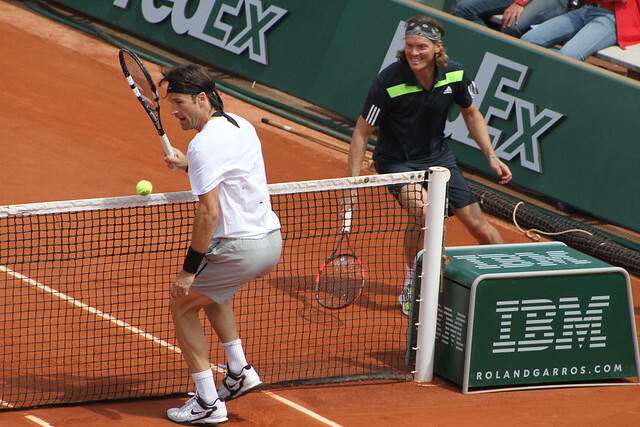 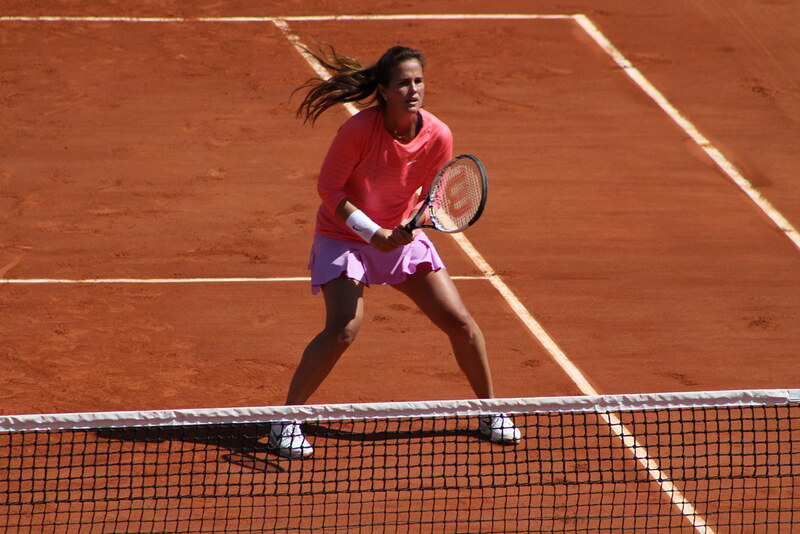 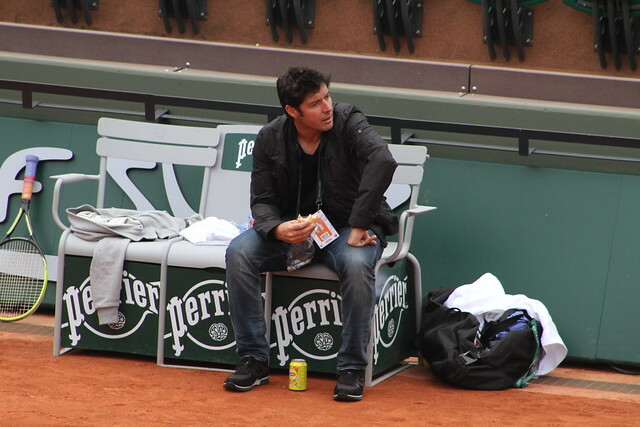 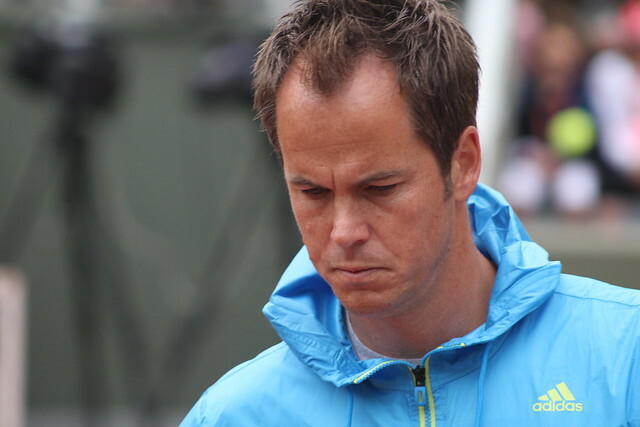 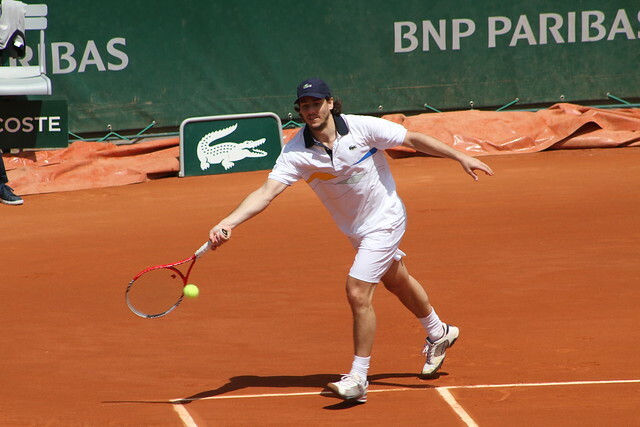 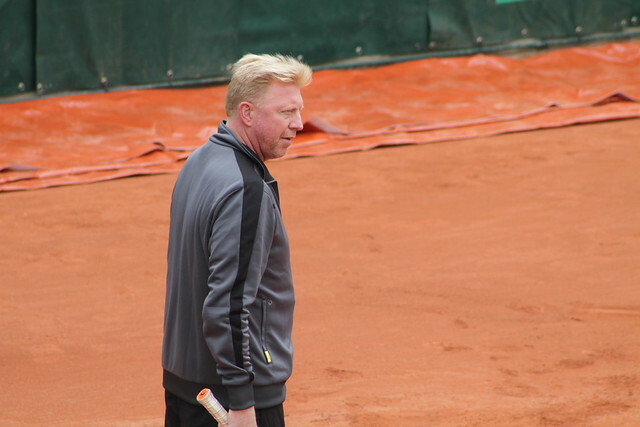 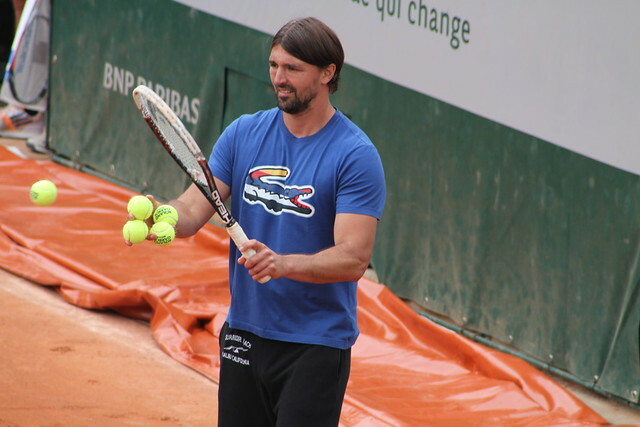 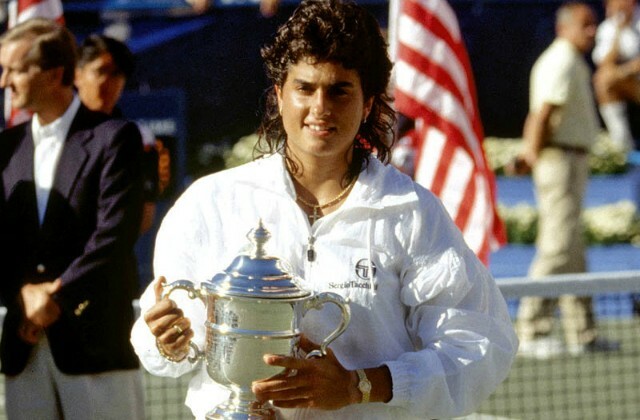 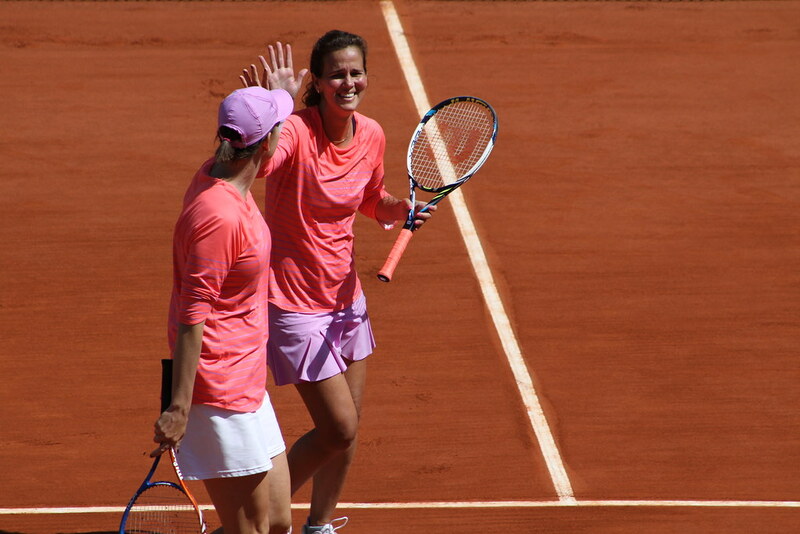 They played at Roland Garros a few years ago, they are now back in Paris as coaches, TV commentators or are taking part to the Legends trophy, and with this new trend of great champions turning to coaching, there’s plenty of past champions to see around the grounds at Roland Garros. 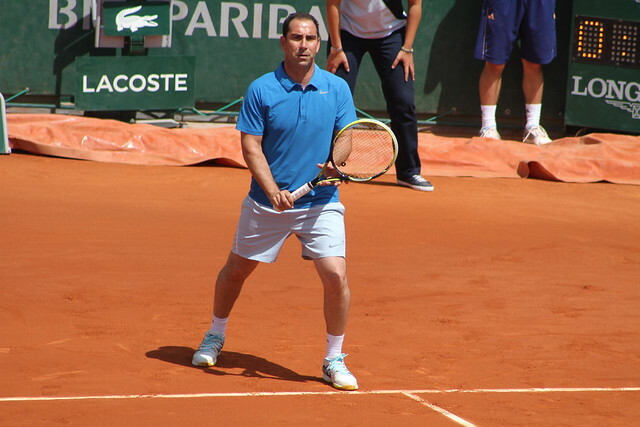 Albert Costa, winner in 2002. 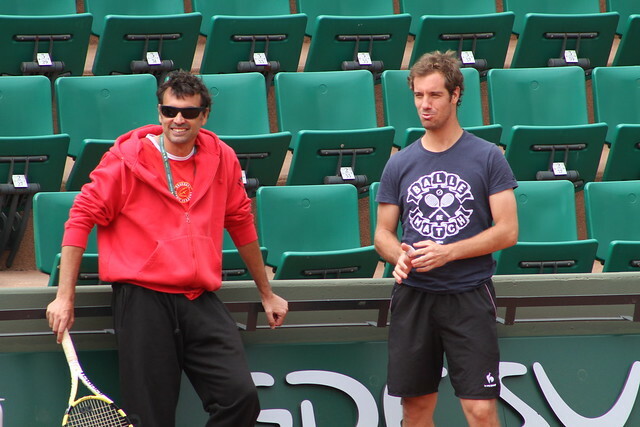 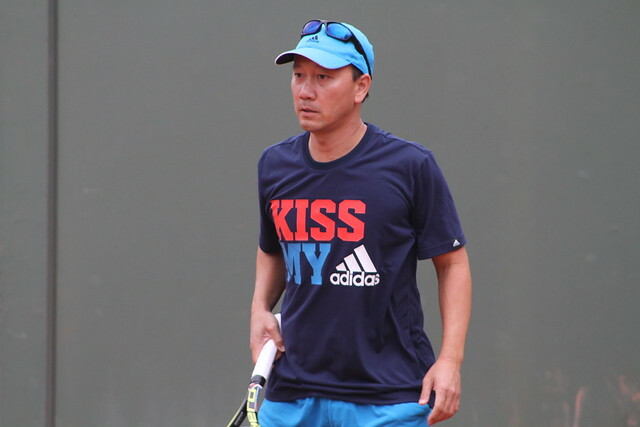 He is currently coaching Feliciano Lopez.